White mustard (Sinapis alba): growing, planting, caring. A fast-growing species - commonly used for green manure. Full description for Sinapis alba not yet available. The white mustard, Sinapis alba, is an annual with deeply divided pennatifid leaves, or rounded lobes. 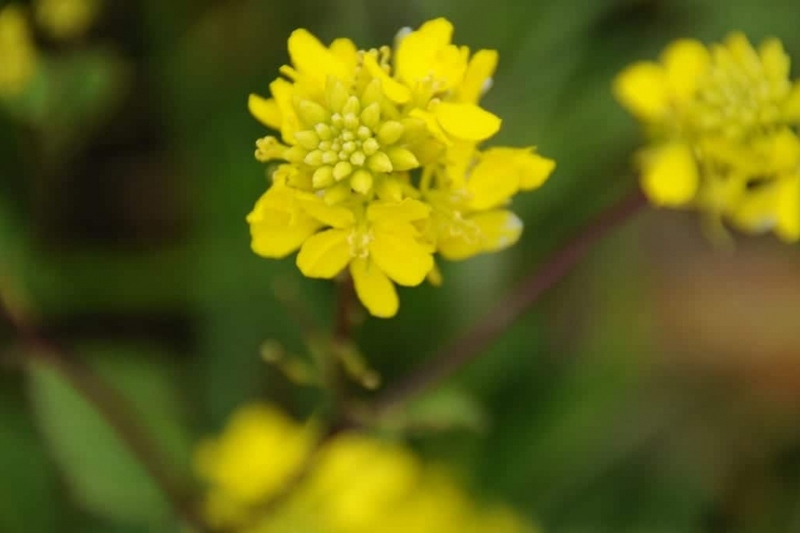 It bears a yellow or light yellow flowering, which turns into siliques. Very meliferous, it is sometimes sown as a green manure protecting the land between two cultures. It is also useful for fighting nematodes, and its powerful roots help break up clumps of clay from a very heavy soil, and thus facilitate the incorporation of humus and soil improvement.